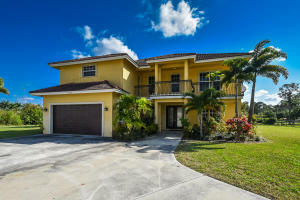 View all current homes for sale in Acreage, West Palm Beach, Florida. Click on a listing to the view property details, photos and maps. If you would like to change or expand your search criteria, go back to the West Palm Beach search page, or try using our Advanced Search. 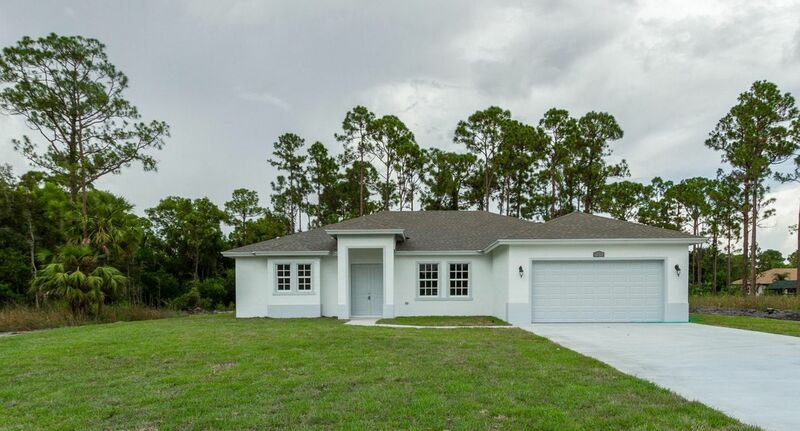 This great custom home is perfect for the family who needs more room! Nearly 3800sf under air, huge master suite, four large bedrooms plus den/ofc or 5th br. Wide open floorplan with soaring ceilings and enormous 700sf+ family room. French doors open to the park like yard from the family room and from the master bedroom sitting area. Deluxe kitchen w/ granite counters plus huge quartz island with prep sink and room for stools. New kitchen appliances including wall oven and cooktop, brand new porcelain plank look tile, large walk-in pantry, bedroom #2 is 2nd master suite and Br 3 & 4 share a jack and jill bath. Lg utility room w/ utility sink, sprinkler system from canal, circular drive & more! Occupied, need some advance notice. Will consider Land or Home for trade. This is a fabulous home on 1.4 acre lot with free form swimming pool and second detached CBS garage with roll up bay doors. There is plenty of guest parking. This house has beautiful limes stone landscaping. New kitchen with granite counter tops, stainless steel appliances and latest technology washer and dryer. Marble fireplace . Marble vanities in the bathrooms. Tile throughout home. New water softener system. This house is located in the nice, quiet neighborhood, surrounded by wild life. 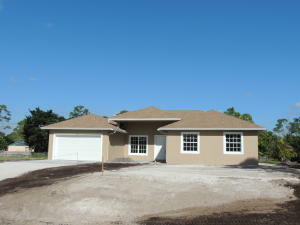 MLS #RX-10507266 Listing courtesy of Homelister, Inc. Looking for a private property with plenty of room to grow? 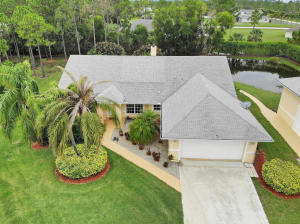 This beautiful home has 4 bedrooms, 3.5 baths on a 1.29 acre, fully fenced property in a private road and a great backyard with your private pond. This split-model home has a remodeled kitchen / granite counter tops / stainless steel appliances; updated bathrooms, mother-in-law suite / walk in closet on first floor. Second floor large master suite / walking closet, double sink / soaker tub. Enjoy the view of your gorgeous pond, a large outdoor living space, screened in patio with half bathroom and cook outs in your outdoor kitchen. Keep your vehicles in the 2-car garage with addicional parking. 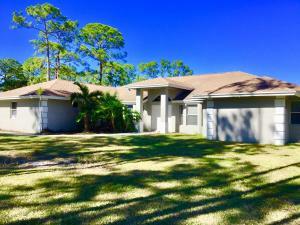 House is move-in ready, don’t wait to own your piece of paradise! 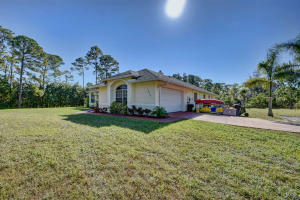 Unbelievable Remodeled Acreage Home! 3 bed 2 Bath on 1.37 acres w/ pool, 2 car garage + Large Separate Steel Building/workshop (61 x 25) Must See! 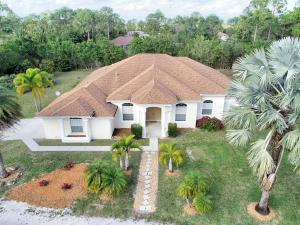 Spectacular four bedroom concrete block pool home in a phenomenal location. This lovely home has lush tropical landscaping. Built in 2007 and perfect for entertaining, this home features high ceilings, tons of natural light and a beautiful fire place. For more information about buying or selling property in West Palm Beach, please feel free to email or call us at 954-720-7111. We are here to help!